It’s that time of year where people brave their attics to get their Christmas decorations down, preparing to spend the afternoon putting them up and getting tinsel everywhere in the process! I think this is my first ever December where I haven’t been living at home with my parents. Of course, I will be with them for the big day itself but I probably won’t be around to put up the Christmas tree. Now that I have my own place to call home, I’m determined to start a new era and begin my own collection of Christmas decorations. As I don’t yet know what the future holds, I didn’t want to invest in a tree as I have no idea if I will be in the same flat this time next year. I don’t really have anywhere to store it either so I’ve decided to opt for Christmas ornaments and fairy lights instead. 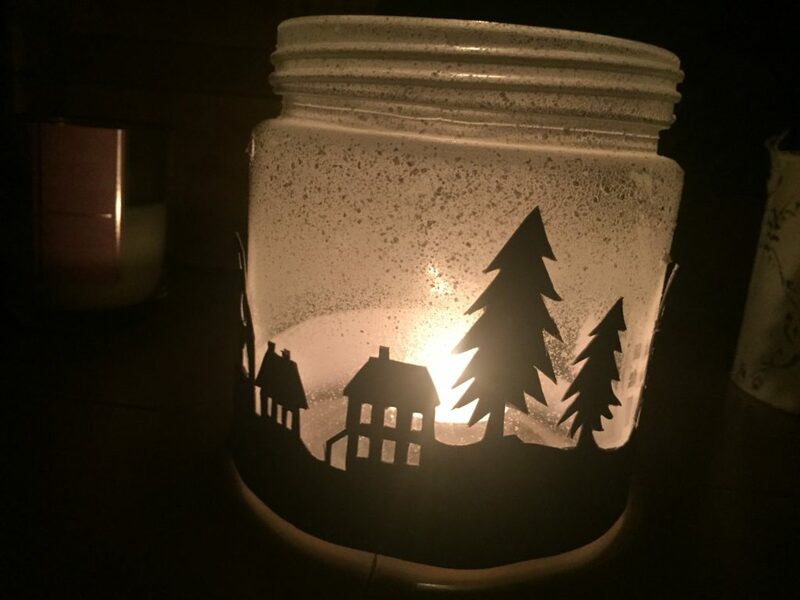 I found this great money-saving idea on Pinterest: Winter village scene tealight holder. It’s super easy to make but you just need a lot of patience (Ollie had to take over a couple of times because I was getting a bit aggy haha!). The end result though is beautiful and I now place a tea light in the holder every evening. It really warms up the living room and makes for a unique decoration. Begin by cutting out your template, taking care and time around the trees and houses. I didn’t bother cutting out the windows at this stage. 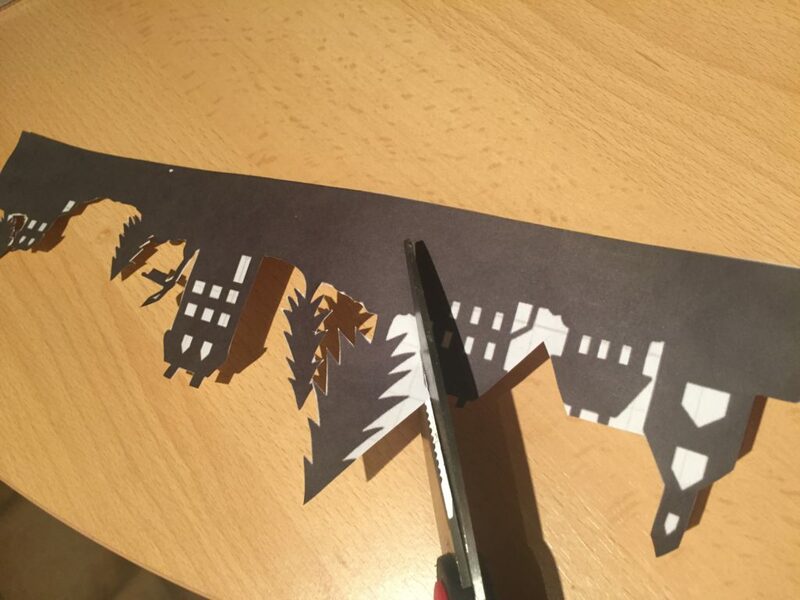 Next, stick the paper template onto your piece of card and cut round the silhouette again. This time, cut out the windows and hard to reach places with your craft knife. 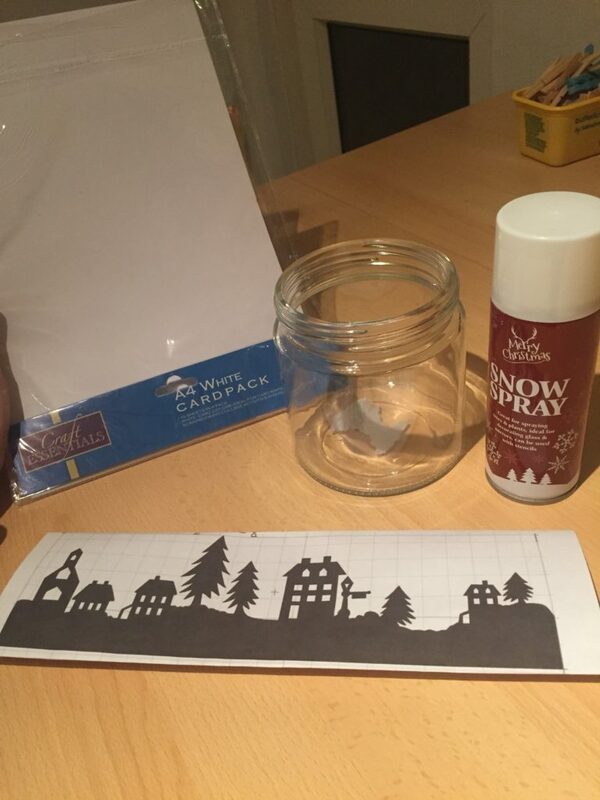 If your template doesn’t quite fit around the base of your jar, stick small pieces of card on either end to adjust. Wrap around the OUTSIDE of the jar and stick the two ends together with some glue. Add a nice finishing touch by spraying your jar with as little or as much snow as you want, starting from the top. 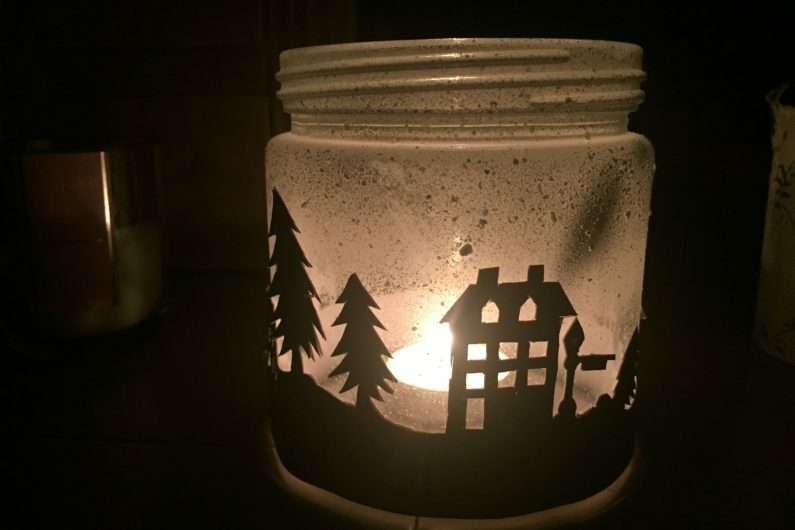 Place a tea light inside and enjoy your new tea light holder! For the original instructions, please click here.